I create coats of arms and family crests for businesses and families. After over eight years and over 200 family crests, my works have traveled all over the world and celebrated many stories. Want to see the size you chose in your space before the painting is completed? Send me a photo with some measurements and I can make it happen. I love creating art to celebrate memories. Art is spontaneous and sometimes unplanned, but when I complete a commission, I think it is important to have clear picture of the destination in mind. After we make a computer sketch, I’ll ask you to sign off on a proof. I’ll use my mock-up to paint your final art, so I’ll ask you to sign off on a digital proof of the art before I paint. After you approve our computer sketch, I paint the final work. Depending on size and my workload, the final artwork might take me weeks, or a month or longer. I’ll request final payment after I complete the art. You can purchase the art online or even pick it up from me if you’re local. 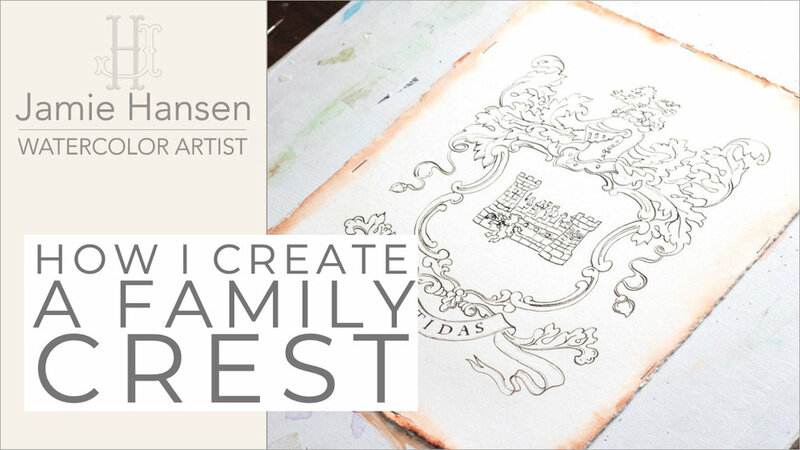 Contact me to learn more about a custom family crest for your family.